The Scariest Thing of All. 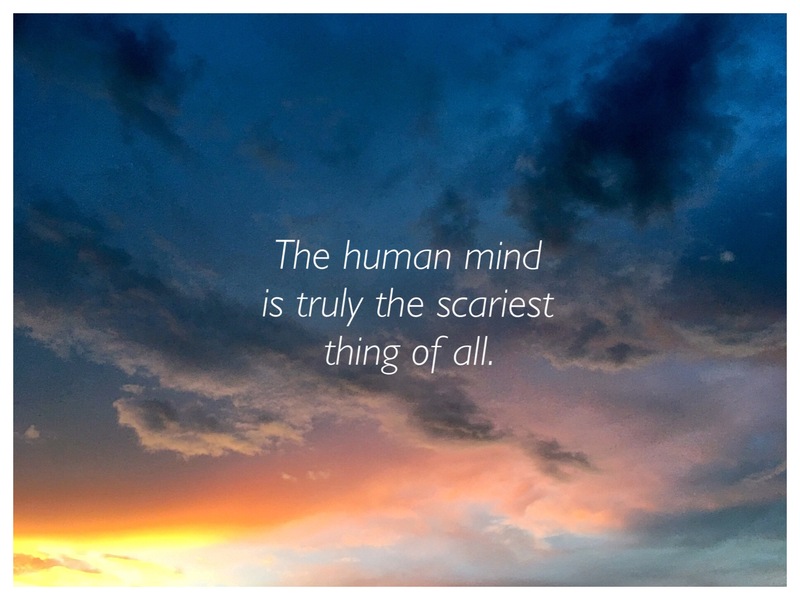 The human mind is truly the scariest thing of all. Well maybe the second scariest thing, only behind living with and through your greatest tragedy. After the tragedy though, the mind haunts you with what happened and what should be. It’s like a personal torture chamber that you can’t escape. My mind’s latest punishment for me? Reliving being wheeled out of the hospital and the car ride home after Jensen was born. I’ve talked about PTSD and how certain events trigger parts our brain has blocked out from us. Since leaving the hospital after my miscarriage, I’ve been remembering more. The shock or numb feeling that I had with Jensen, never came with Huxley. I felt it all as it came and my mind didn’t have any more room to block another horrible part of my life out. My brain tried to help me, but in truth, it just brought up other parts it tried so hard to keep away from me. When the nurse was wheeling me out, I can remember gasping for air. I couldn’t catch a breath and seeing others sitting in the waiting room for the good news broke me. They saw me, my tear-stained face, and understood what had happened to me. I don’t think I was breathing in those few moments, just staring back at them as the elevator closed in front of my face. One part I can’t remember is if my dad walked behind me or left earlier to get the car. All I know is I waited there alone (with the nurse of course) for moments that now feel like hours. I didn’t feel anything inside of me. My body didn’t feel real and that my spirit was just going to float up. The hollowness scared me because I knew this is what I would feel from here on out. Maybe a part of my soul floated away then or stayed with Jensen’s body. I lost the biggest part of me in the hours before, it would make sense that I could physically feel it leaving me. Sitting in that wheelchair was the most hopeless I have ever felt in my life. Not even twenty-four hours beforehand I heard the worst thing anyone could ever say to me and had to give birth to my child’s lifeless body, but there waiting to get picked up I felt the most hopeless. My mind has kept that short amount of time in the dark. I don’t blame it, it’s terribly difficult to process those complex emotions. Yet, somehow, it did bring it back to me… on a loop. It’s letting me revisit in first person and third person. I can see me sitting in the wheelchair and everything else going on around me. How could the world keep spinning? Why didn’t anyone notice the mother whose child that died going home to a complete unknown? Did anyone else experience this or was I too naive to ever notice? Those questions have ripped through me. The dark place that is my mind has pushed me to answer them, to keep replaying that scene until something makes sense. Anxiety pressures me to nitpick every detail, but my logical mind questions, what if it never makes sense? I’m not sure whether that is comforting or completely terrifying. That’s what makes the human mind the scariest thing of all. This entry was posted in grieving, Jensen, stillbirth and tagged baby loss, child loss, grief, grief attack, grief journey, grief work, grieving, infant loss, infant loss awareness, Jensen, Jensen Grey, life, life after loss, loss, loss community, love, mama grief, Pregnancy and Infant Loss, Pregnancy and Infant Loss Awareness, Still Standing, stillbirth, stillbirth awareness, stillborn, Stillborn Still Loved by danielleridgway. Bookmark the permalink.